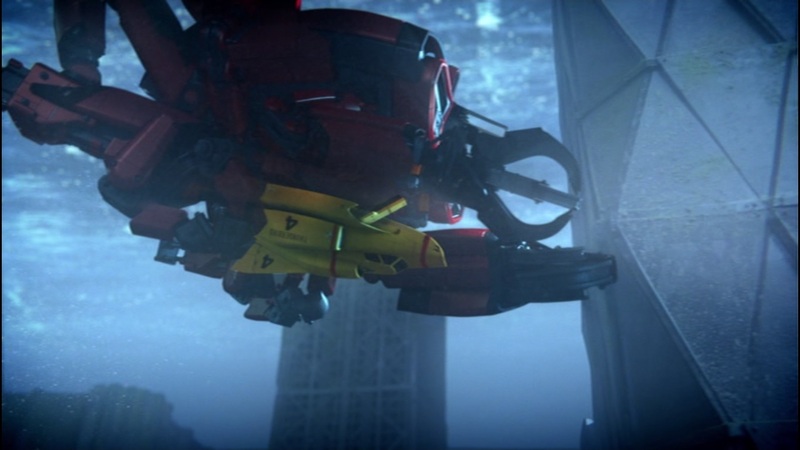 I get the feeling that Thunderbirds are Go was actually at a pretty advanced stage of pre-production before they decided that Tintin needed to be upgraded to Kayo, International Rescue’s head of security, and then they had some trouble deciding what exactly that meant, and what to do with her. So for the previous 23 episodes, she’s an awesome, incredibly cool character, but often on the sidelines and not even spotlighted with a launch sequence for her VTOL jet with its converts-to-a-motorcycle cockpit. That all changes with this episode, and it’s completely awesome, one of the two or three best of the run. It’s written by Jim Krieg, another veteran of American action cartoons like Ben 10 and the terrific Batman: The Brave and the Bold. It’s packed with attempted rescues falling apart around the Tracys’ ears, convoluted criminal plans, and friction at home. Scott doesn’t agree with Kayo going out in the field and taking down terrorists and criminals, because that’s the job of the police and the GDF. Kayo counters that she’s preventing the sort of disasters that International Rescue normally has to clear up. 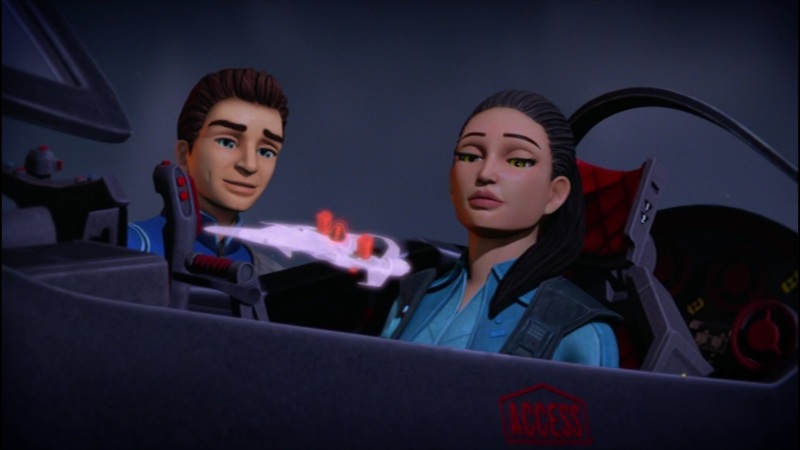 When John calls in with a situation, we finally get to see Thunderbird Shadow’s launch sequence, and it’s almost as much fun as the others, with her jet rolling up a track to a point inside one of the mountains. This section of the wall rotates outward, leaving Thunderbird Shadow parked on the exterior side of the mountain, ready to disengage and launch straight up. Daniel thought that was pretty amazingly cool. I agree. However, the seat-of-your-pants excitement almost proved too much for him, especially when Kayo looks to be doomed in a high-altitude crash. He just barely made it through Scott pulling somebody out of a crashing airplane in the last possible second; when Thunderbird Shadow starts plummeting to the ground, he whimpered and covered his head and whined “I don’t want to watch this show! !” That’s often how we tell he’s having the best possible time.